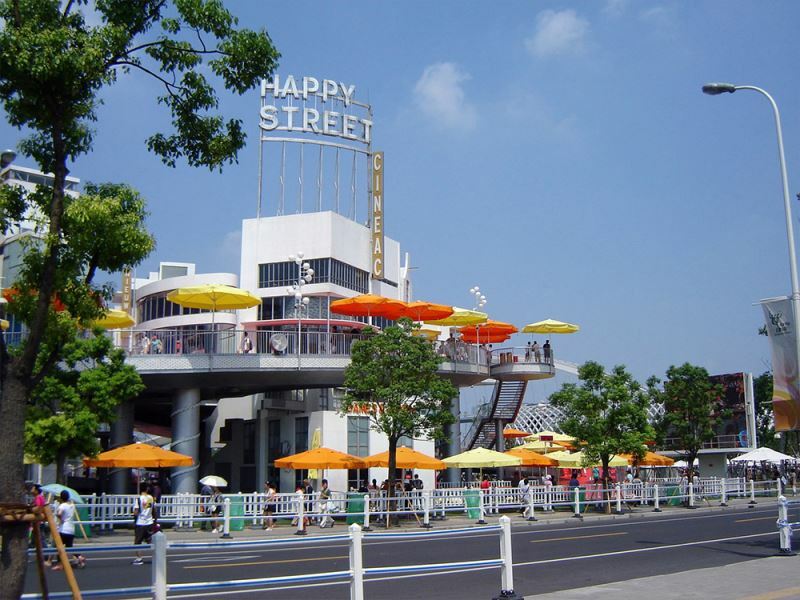 The 350 metre long Happy Street for Expo Shanghai wound its way like a roller coaster up to a maximum height of 13.3 metres. It was extremely complex structurally. Happy Street has no stability walls but is borne solely by columns. In addition, the hanging houses caused a lot of eccentric loads. Earthquakes, which are not unknown in this part of China, presented a completely different risk. Apart from this ‘un-Dutch’ load, the structure, on which millions of visitors walk, was not permitted to vibrate too much. ABT carried out the project to so-called DO+ level. 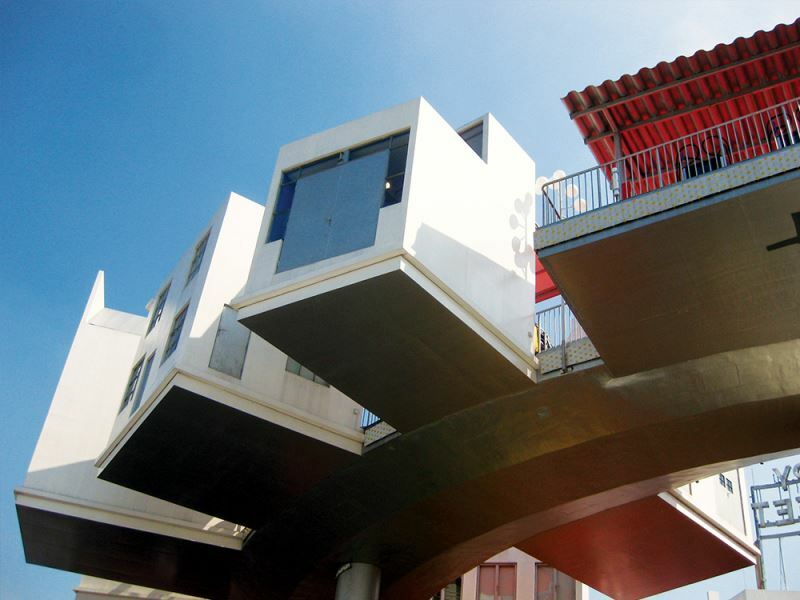 Local parties, including Tongji University in Shanghai, supervised construction. The 20 million euros needed for construction, furnishing and operation were collected by the Dutch government and business. 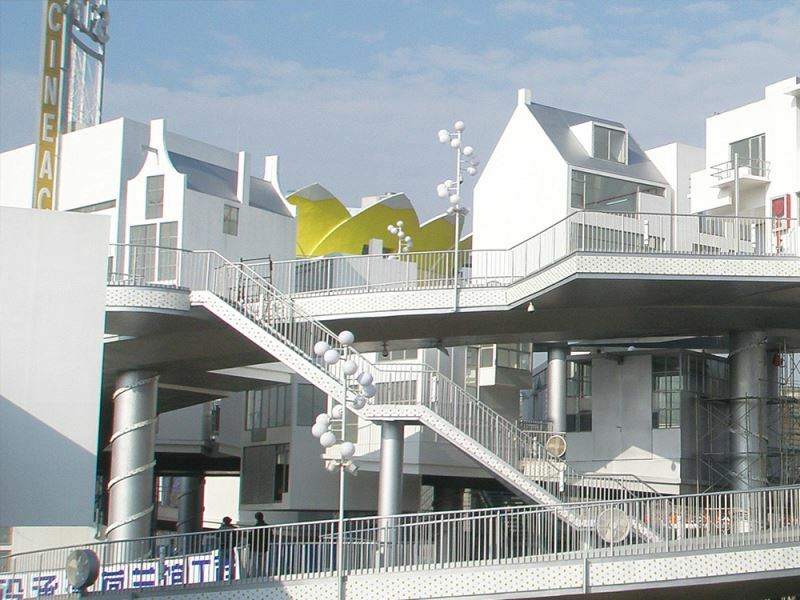 In 2010 Happy Street won the Dutch Design Award for the best public exterior during Dutch Design week. Happy Street also won the Golden Eye: the prize for the ‘best of the best’ in Dutch Design. The objective of the Awards is to shine the spotlight on designers and to generate greater awareness among the public in the area of the opportunities in design. 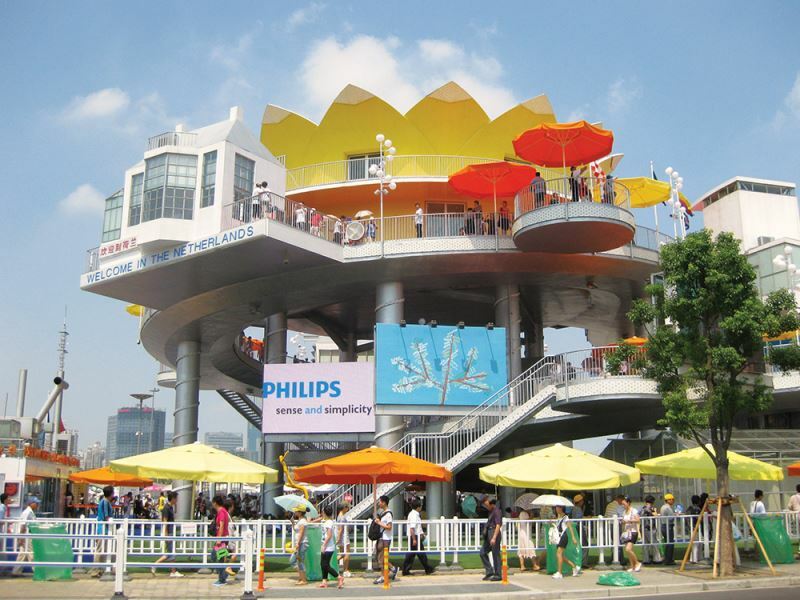 ‘Shanghai’ was the third Expo pavilion in a row for ABT. 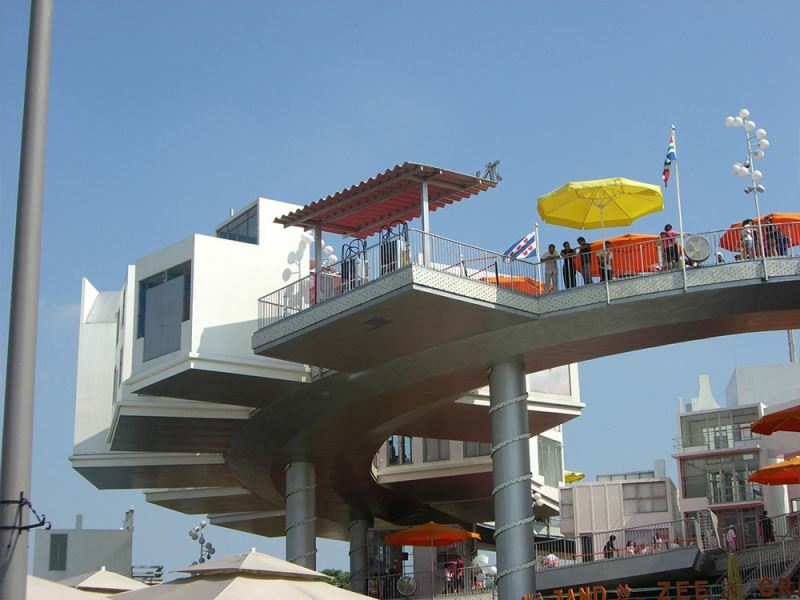 The bureau had previously been involved in designing the pavilions in Sevilla (1992) and Hanover (2000).